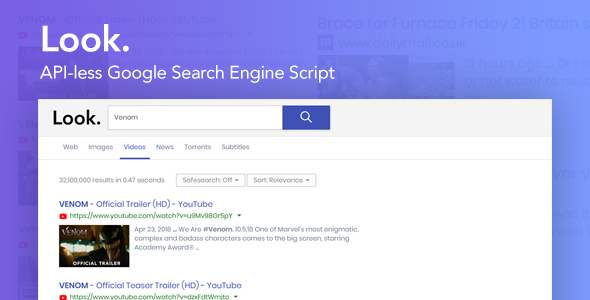 Look is a search engine script powered by Google Search Results. At its core it uses Google CSE’s internal API endpoints to fetch the search results. But it requires no API keys or whatsoever, and that means no limit on search sections or queries. But thats not all, you can add unlimited amount of engines to this script. And search every/any portion of the web you want inside your very own search engine. Yes, actually! We’re not lying! 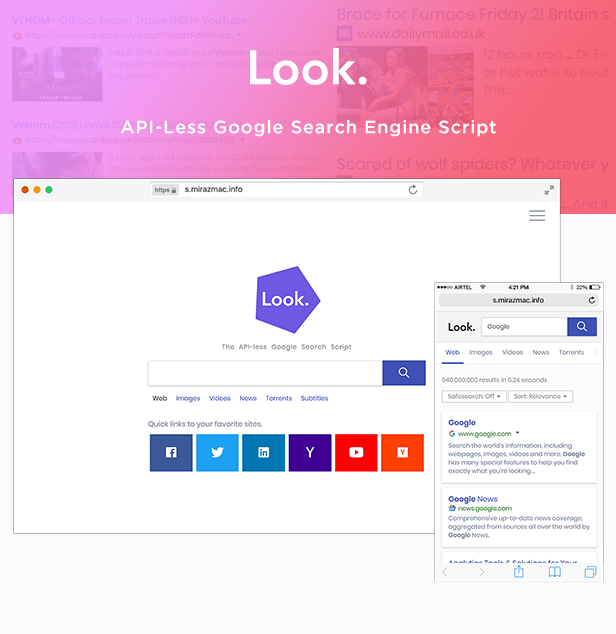 Look has advanced search engine like features. Some of them are: Did You Mean, auto spell correction, Safesearch, Search Auto-completion etc.